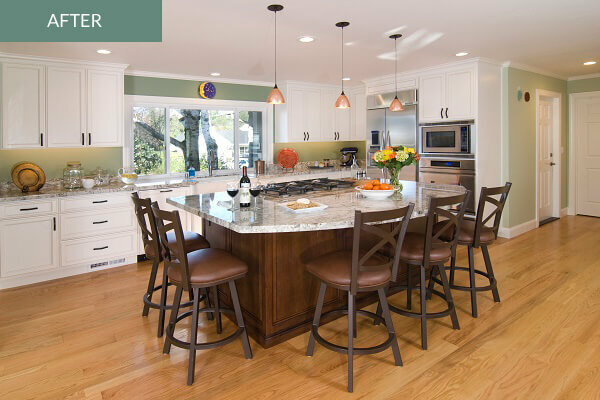 Lamorinda Design Build Home Remodeling | Gayler Design Build | Gayler Design Build Inc.
An award-winning design and remodeling firm founded in 1961 in Danville, CA, Gayler Design Build has been designing and remodeling homes in and around the Lamorinda area for over 21 years. We are the only home remodeling contractor promising on-time and on-budget project delivery. From completing whole house remodels, kitchens, bath renovations, and additions, to designing and building outdoor living spaces, Gayler Design Build has been successful at executing the job to each customer’s satisfaction, incorporating personal design customization into every project. Lamorinda is an area within Contra Costa County, California. The name comes from the names of three cities that make up the region: Lafayette, Moraga, and Orinda. Lamorinda is located east of Berkeley Hills between the Caldecott Tunnel and Walnut Creek. It is also referred to as the "Highway 24" corridor, referring to the state highway that is the main thoroughfare in the region. Many residents commute west through the tunnel to San Francisco and Oakland or east to Walnut Creek and Concord. While each of these three cities has their own identities, they share similar characteristics of a bedroom community. Lafayette is known for its retail and restaurant offerings, Orinda is home to the historic Orinda Theater and the California Shakespeare Theater and Moraga is the home of Saint Mary’s College of California. From young families with children to retired couples, the Lamorinda area is a place many love to call home. Gayler Design Build is Tri-Valley and Lamorinda’s award-winning design-build remodeling firm—the only one promising on time and on budget project delivery, backed by a 21-year consistent track record. Design-build is a process where one company handles an entire remodeling project from the initial design and budgets to permits, construction, and warranty. Every aspect of the project is handled by a seasoned team of professionals providing accountability, coordination, communication and a single point of contact for the client. A design-build process using the Gayler Team ensures that you have a beautiful, customized design, created within your budget, and built with quality, care, and efficiency. 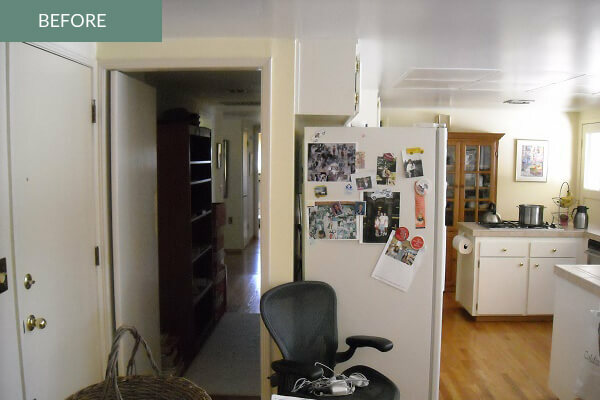 Homeowners in Moraga had a dark cramped kitchen that was in desperate need of more space and light. Gayler removed the very small, U-shaped cabinets and small eating nook area, along with a dividing wall to create a great room with a large kitchen and six seat island, open to the adjacent family room. The difference was quite dramatic! 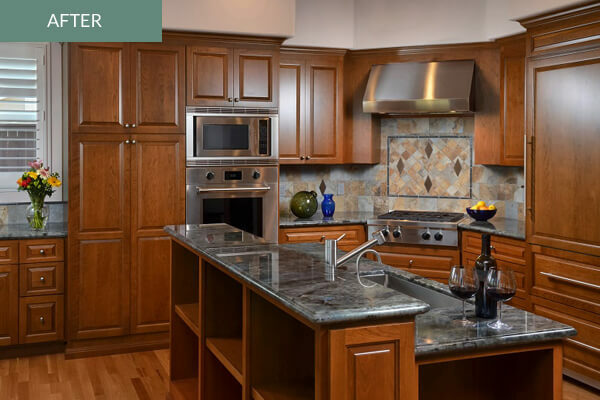 For more details and photos of this Moraga kitchen renovation, visit our Design Portfolio. 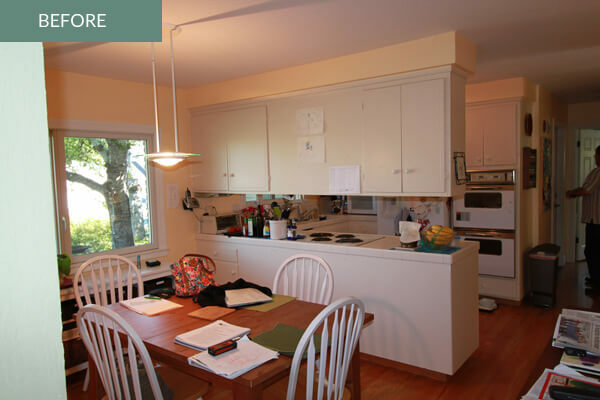 Similarly, another Moraga family transformed a small 1960’s kitchen into an open, airy transitional kitchen fit for entertaining. By removing the wall and hallway, the new-found space was reincorporated into a sleek, functional modern kitchen. 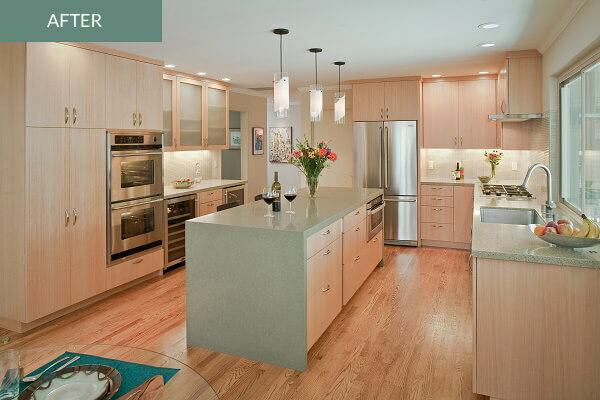 For more details and photos of this beautiful modern kitchen renovation in Moraga, visit our Design Portfolio. When a new widow decided to move, she found a near-perfect house to downsize to in Rossmoor, a gated community in Walnut Creek, CA. A well-executed renovation helped to make it home - one that reminded her of her previous home in Berkeley, but smaller and easier to manage. 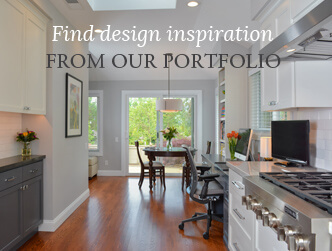 For more details and photos of this beautiful whole house remodel in Walnut Creek, visit our Design Portfolio. Take the first step in remodeling your home by scheduling an in-home meeting with your very own personal design consultant. 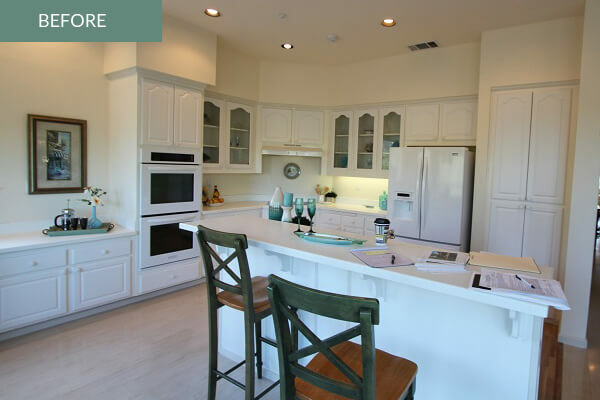 Read about the latest kitchen design trends in Lamorinda in 2017. Or, take advantage of the frequent kitchen and bath remodeling seminars we schedule throughout the year. Let us know your interest in attending by signing up today.